Hello all of you lovely Foxes. When I started this blog it was my goal to post 2-3 times a week. This worked well for a couple of months as I was on maternity leave from work and could easily work on my blog while kiddos napped or after they went to bed. Since January 3 I have been back at work full-time. Our family only has only one car which the kids can go in so I have also been responsible for almost all of the drop offs and pick ups. My commute to work is an average of one hour each way. When I get home it’s all about supper, bath time and tucking the little ones into their beds….did I mention that hubby Fox is often away at work for days at a time? Oh yeah, and we moved into a new house during this time as well? Big Trouble and Little Trouble Keeping Me Busy! Soooo, you can see my posts have been few and far between lately. This is not my ideal, but I will still keep plugging away at this. I love writing and I love sharing my experiences with beauty products. I have a huge backup of product reviews to do and I’m on a stay-cation vacation for a few days so I will work away at these and get you the details on some pretty cool stuff I’ve been playing with. So Much To Tell You About! Thanks to all of you who have been supporting me on here and also on my social media (Facebook, Instagram, and Twitter). At least I am able to make quick comments or put up photos on those outlets and try to stay connected to you. I’d love to hear from you and hear about what sorts of beauty articles would interst you, and would especially love to learn more about you and where you are from and what your connection is to beauty. Some people love it, some have a love/ hate relationship with it, and some simply hate it. I’m open to hear anything you have to share! Categories: foxy fun | Tags: beauty, beauty blogger, busy life, thanks | Permalink. 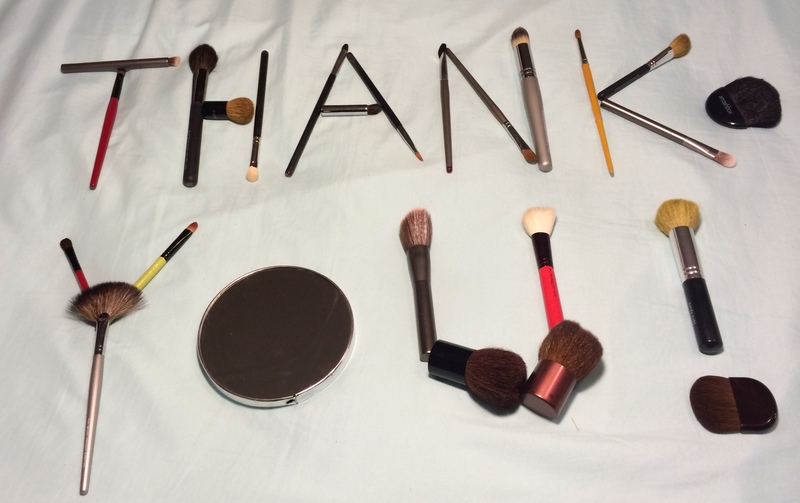 This is not an informative post regarding makeup or beauty, but one just to say THANK – YOU! I started this blog three weeks ago with the intent of just trying this out to see how it goes, and to try and understand this world of blogging. I have to say after the strong show of support from visitors to my blog, other bloggers at word press, Facebook friends, Instagram and Twitter followers, that this is something I will definitely continue to do. And an extra big thank-you to all of you beauty experts that have helped contribute to the beauty tips of the day. Now PLEASE tell me a little about you! I’m seeing statistics that tell me what countries visit my blog, but would love more specifics – what city are you in, where did you find out about this blog and what is your favourite beauty item? Please comment so I can learn more about you and tailor more articles to my audience. Categories: foxy fun, thank-you | Tags: danke schoen, dhanyavaad, gracias, hvala, merci, mh goi, obrigada, shukran, tack, terima kasih, thank-you, thanks, xiè xiè | Permalink.